The stunning David Crawford House home to the Newburgh Historical Society is a Neoclassical gem with a Palladian window and ionic columns. View the grand homes of Newburgh at the annual Candlelight Tour! If Jack Frost has begun to nip at your nose and you are starting to hear Christmas carols being sung by Christmas Choirs, then you may also be wondering when Newburgh’s Historical Society’s annual “Candlelight Tour” is happening. Good news: It’s this weekend! 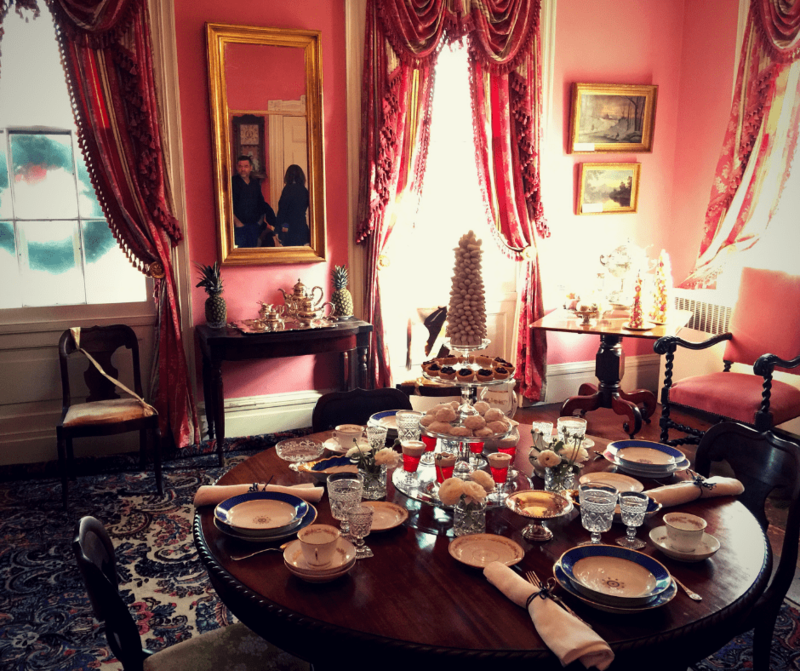 This yearly event offers residents and visitors alike a glimpse into the private spaces of some of Newburgh’s most grand homes. These historic architectural jewels are also interspersed on the tour with views of Newburgh’s important public spaces. Coincidentally while the tour gives a fascinating view into the aesthetics and interior design tastes of each building’s newest occupants – many of whom are transplants to Newburgh because of their love of her beautiful historical architecture – it also chronicles the progression of the different and important architectural styles that developed across the young republic, sometimes starting in this historic Hudson River town. Sophisticated 19th Century Architecture reflected rising wealth. In Newburgh’s case, as in other Hudson River waterfront cities, her economic fortunes grew as a result of her location on the water. In the earliest colonial days, the Hudson offered a trade route to the north, where Albany dominated in the all-important fur trade. The river offered access to Canada and the Great Lakes, and Newburgh by virtue of her great harbor, her wide bay and low lying position was key for commerce, especially also as commerce opened to the west. Established areas further south with western access were hindered because of the high, rocky Palisades or lack of a good harbor. Eventually, timber became hugely important, as did grain, and both were shipped from Newburgh’s nearby farmlands and forests to New York City where it was either consumed and used or sent abroad. From the early 1600’s to the early 1800’s Hudson River sloops carried on commerce on the Hudson river and often from Newburgh, where shipbuilders, whalers, shipping magnates and others built fortunes and then built the grand homes and public spaces of Newburgh, and the surrounding area. Needless to say, Robert Fulton’s steamboat only enhanced riverfront trading for towns and cities such as Newburgh. Trade continued to boom in Newburgh as the new technology answered investors and entrepreneurs prayers: faster, faster, faster. 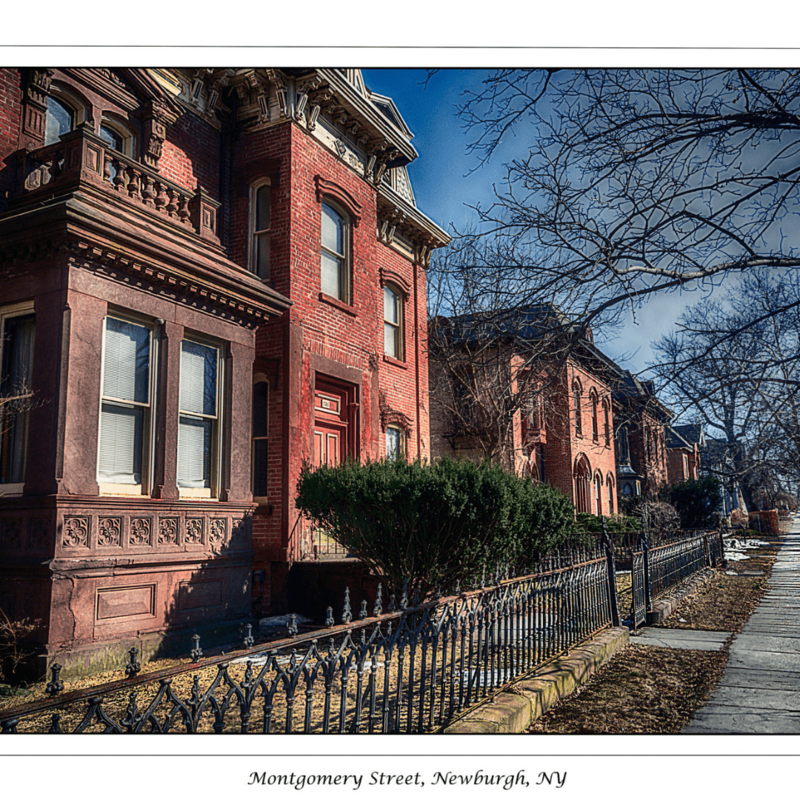 All the while, Newburgh’s growing financial might was expressing itself by adopting the architectural tastes of other important cities in the nation and also those of Europe and England. Eventually, as wealth and opulent mansions sprung up in the Hudson Valley an architectural vernacular known as Carpenter Gothic took hold and was developed and promoted by Newburgh’s own son Andrew Jackson Downing in partnership with the renowned architect Andrew Jackson Davis. Newburgh in her own way had become a leading and important national and international trendsetter. The Candlelight tour will showcase restorations, renovations and adaptive reuses, and a home designed to a plan from Downing’s The Architecture of Country Houses: Including Designs for Cottages, Farmhouses, and Villas. Make your plans for Sunday, December 9th! The tour takes place on Sunday, December 9, and will feature 13 homes, described in a detailed guidebook that maps the route. 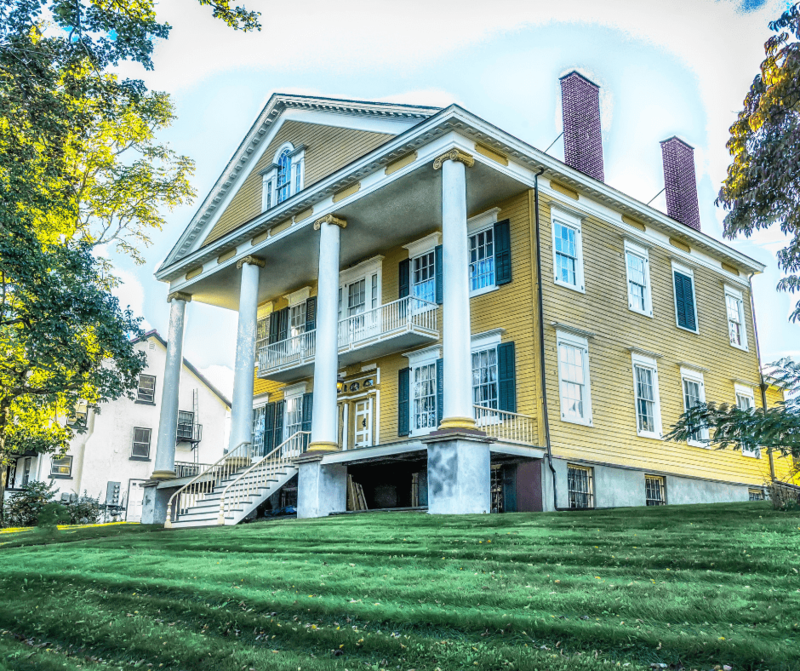 In the recent past, visitors have come from New York City, Long Island, and Staten Island as well as from New Jersey and Connecticut to have the opportunity to view the homes that gained Newburgh with her title, Queen of the Hudson. If you are one of those visitors, be sure to check out some of the wonderful new restaurants on Liberty Street, at the waterfront, or check out the North Plank Tavern, once a speakeasy and quite historic!